Parties! - Lexx Cast Members Projects and Appearances - Main Lexx Discussion - You have arrived in the LEXXVERSE where the spirit of Lexx lives on. 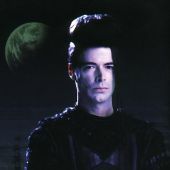 You have arrived in the LEXXVERSE where the spirit of Lexx lives on. > Main Lexx Discussion > Lexx Cast Members Projects and Appearances > Parties! An maybe we can celebrate a "all missed MM Birthdays - Party" . It would be a fan-meeting anyway so I think it is okay, that it won't happen on his birthday next year ... And who knows: maybe they will come back to a convention in the US and THAT really would make me travel over -- at almost any cost! Meeting with you all and then go to such a con ... Great! So far then - congratulations again and I think we still can manage to make a party for any Lexx-Reason anywhere.